The Tohono O'odham, which means "Desert People", were formerly known as the Papago by the Spanish and are descendants of the Hohokam culture, which flourished between 200- 1450 AD in what is now southern and central Arizona. 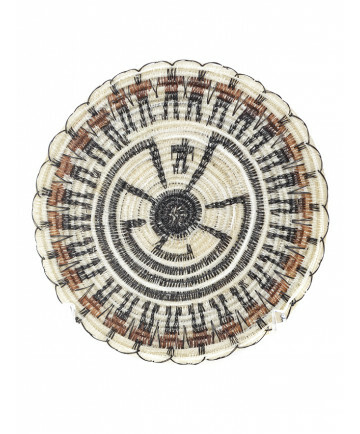 They originated the use of horsehair in making miniature baskets sometime in the 1960's. 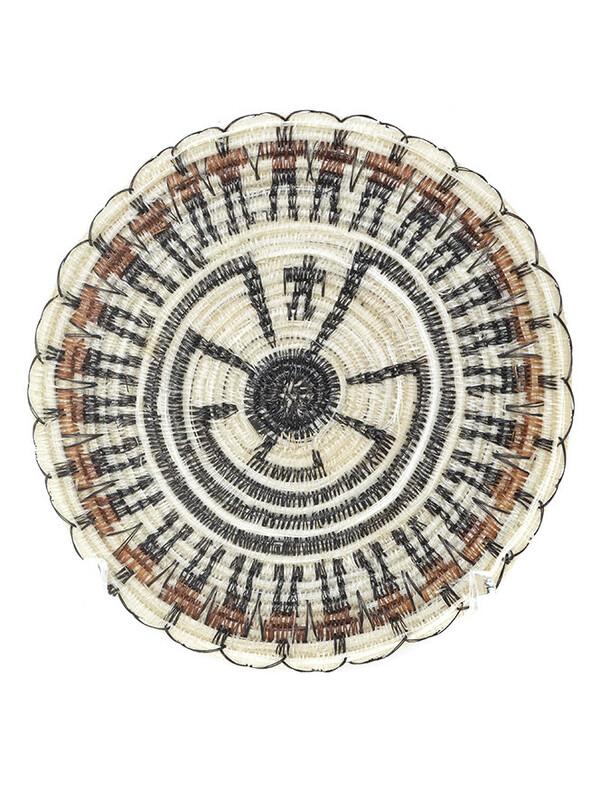 This basket has a diameter of 2 3/4"